Citing Trump tariffs, Ford cancels China-built Focus Active crossover for US | Car News, Reviews, & Pricing for New & Used Cars. Ford Motor Company quickly axed from its U.S. lineup a small crossover based on its global-market Focus, telling reporters Friday that it won’t import the car from China next year. The automaker said that its decision to renege on previously announced plans to ship the Ford Focus Active crossover from Asia was based on 25-percent import tariffs imposed on vehicles built in China by President Donald Trump. However, Automotive News reported that even if the Trump administration drops the tariffs, Ford will not reconsider its decision. The Focus Active that will be sold in other markets is a high-riding hatchback with all-wheel drive in the vein of the Subaru Crosstrek. Ford planned to sell about 50,000 Focus Active crossovers in the U.S. annually after a launch scheduled for late 2019. “The impact to our future sales is expected to be marginal,” Kumar Galhotra, Ford’s president of North America, said during a conference call with reporters. As part of its $11 billion global restructuring under chief executive officer Jim Hackett, Ford is concentrating its efforts on more profitable crossovers, SUVs, and pickup trucks. Ford’s decision to pull the plug on the Focus Active means that the Mustang sports car will be its namesake division’s only non-utility vehicle in a couple of years. 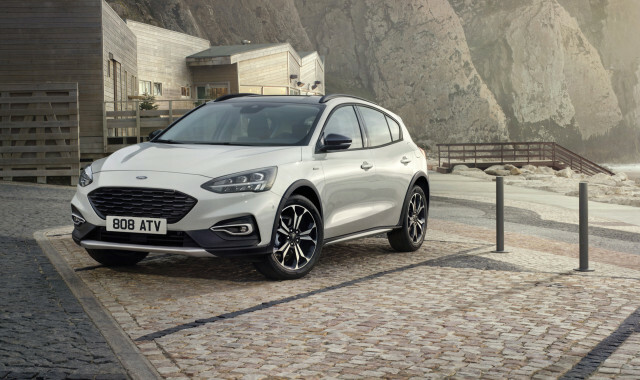 Ford already stopped production of the Focus compact car for the U.S. market and plans to phase out its Fiesta subcompact, Taurus full-size sedan, Fusion mid-size sedan over the next two years. That doesn’t mean that Ford’s lineup will shrink, however. Earlier this month, Hau Thai-Tang, Ford’s executive vice president of product development and purchasing, said that the automaker plans to add three models to its lineup in the next five years.